The D23 Expo is coming up August 14-16 at the Anaheim Convention Center. At a Disney fan gathering where the Walt Disney Studios and Disney Parks and Resorts typically get the lion's share of attention, the Disney Music Group this year will have a much higher profile. DMG oversees the various Disney recording labels like Walt Disney Records and Hollywood Records and also runs Disney Music Publishing. In addition, they manage a very cool website where you can purchase all manner of Disney collectible music items, the Disney Music Emporium. At the D23 Expo, the Disney Music Group and the Disney Music Emporium will present a concert called Disney in Concert: A Silly Symphony Celebration. They’ll screen a selection of Walt Disney’s famous musical cartoons backed by a 32-piece live orchestra. How cool is that? The concert will tie in with the release of an epic musical boxed set—on vinyl—called The Silly Symphony Collection. Contained in the set will be remastered audio recordings of all 75 Silly Symphony cartoons released between 1929 and 1939. 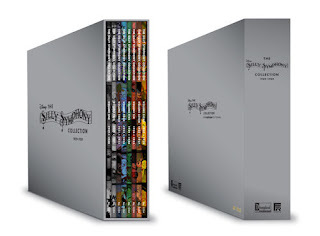 Expo attendees will be the first people able to pre-order the Silly Symphony set. After that, it can be ordered online at the Disney Music Emporium beginning on August 17. The set will list for $399.98 and will include a free digital download. If you pre-order it, you’ll also receive a 10” vinyl single with "The Skeleton Dance" on Side A and the "Three Little Pigs" on Side B. Recently, I paid a visit to the Walt Disney Studios and sat down with Jon Heely, director of music publishing and concert licensing at the Disney Music Group. 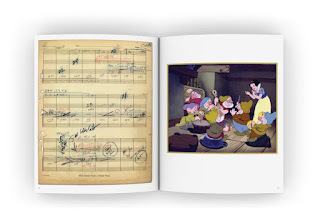 We talked about Silly Symphonies, of course, but we also talked about an amazing limited edition book release from the Disney Music Legacy Libraries. It’s the Snow White and the Seven Dwarfs Master Score. And by master score I mean a reproduction of every piece of sheet music from Snow White illustrating how the music synchronized with the film. 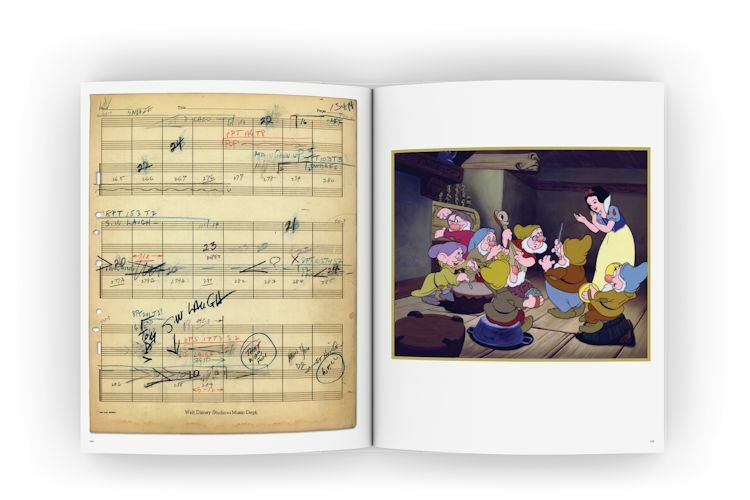 The printed score even includes notations by numerous artists and technicians that helped bring the movie to life. Only 400 of these are being released. The first 200 are available now at the Disney Music Emporium. Another 200 will be available at the D23 Expo. Jon Heely is my first guest in The Mouse Castle Lounge today. I also chat with Randy Thornton with the Disney Music Group and Kevin Augunas, Neil Schield and Jesse Obstbaum with Fairfax Recordings. It's a great time to be a Disney music fan. Enjoy! CORRECTION 8/5/15: When I originally posted this story, I indicated that the notations to the Master Score were made by Snow White's original composers, i.e., Frank Churchill, Leigh Harline and Paul Smith. That may be a possibility, but since this was a working document, the truth is a number of artists and sound technicians would also have made notations to the score to assist with the recording and audio synchronization including (possibly) studio engineer Bill Garity and director Wilfred Jackson. We can't be exactly sure who made what notations--but doesn't that make it even more interesting?